As part of our Anzac study, the class made Anzac Biscuits. 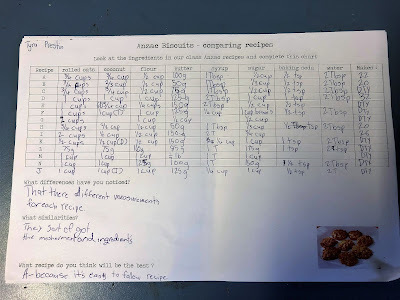 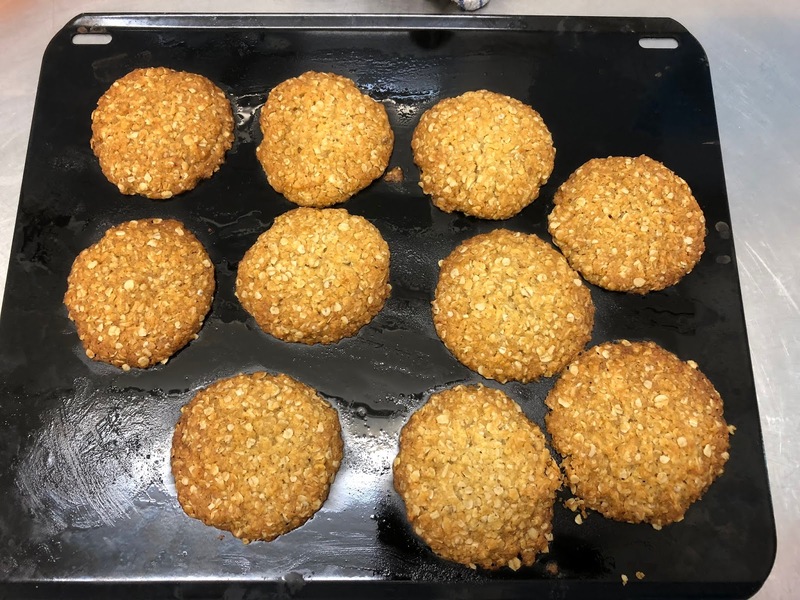 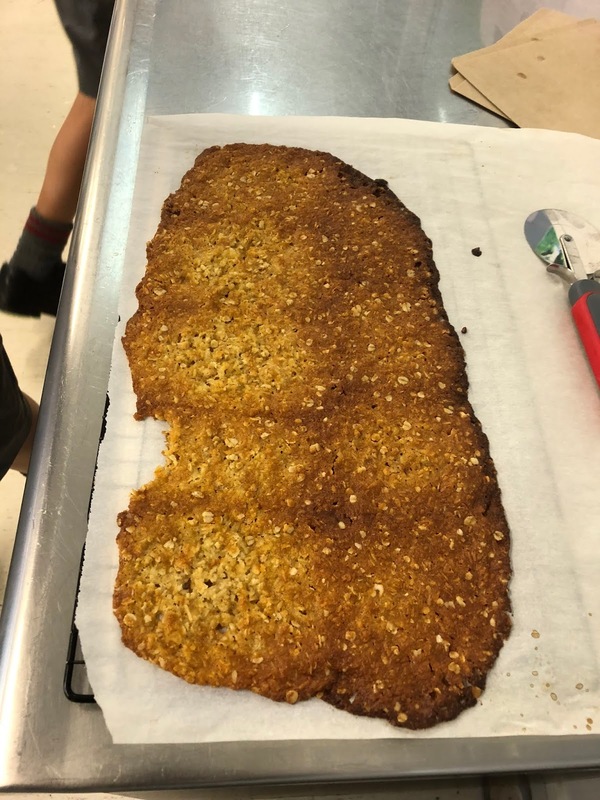 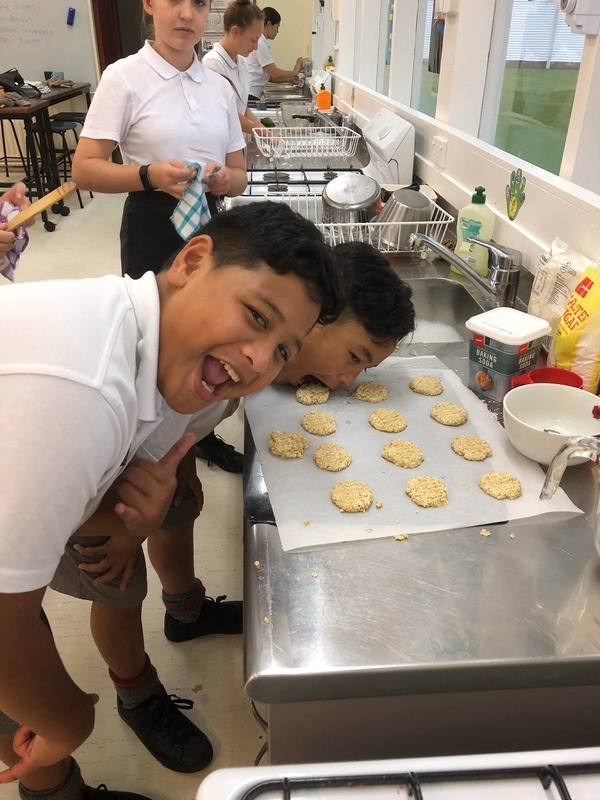 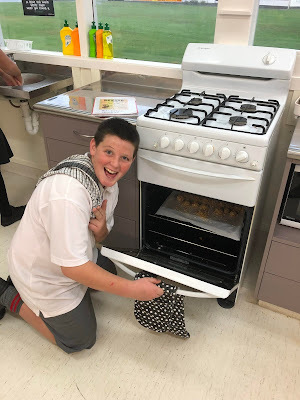 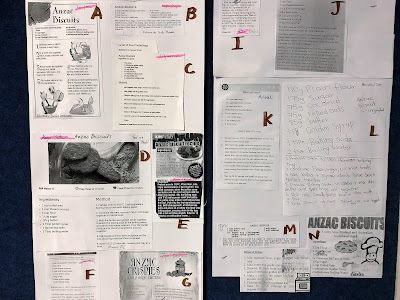 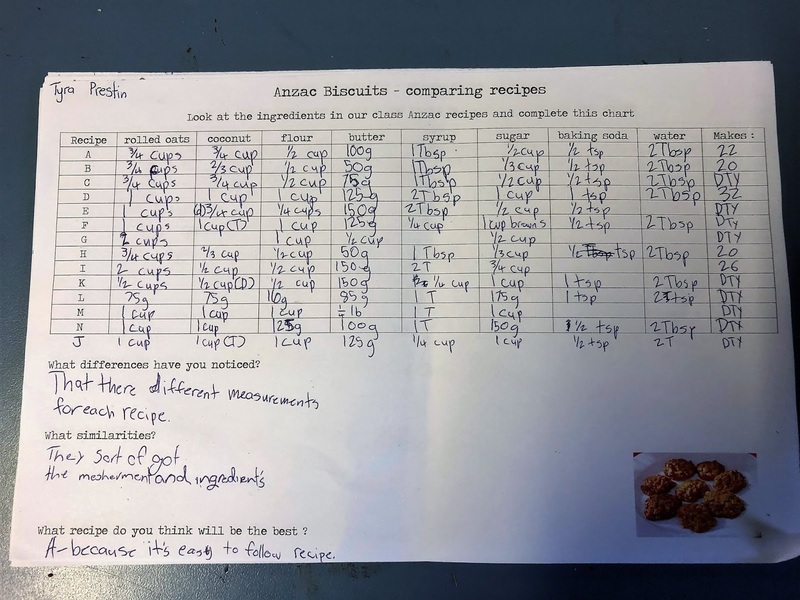 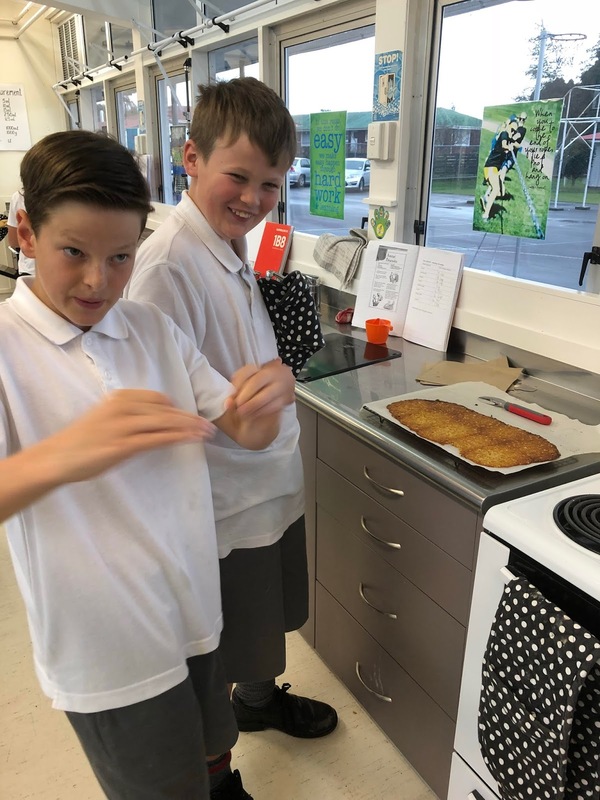 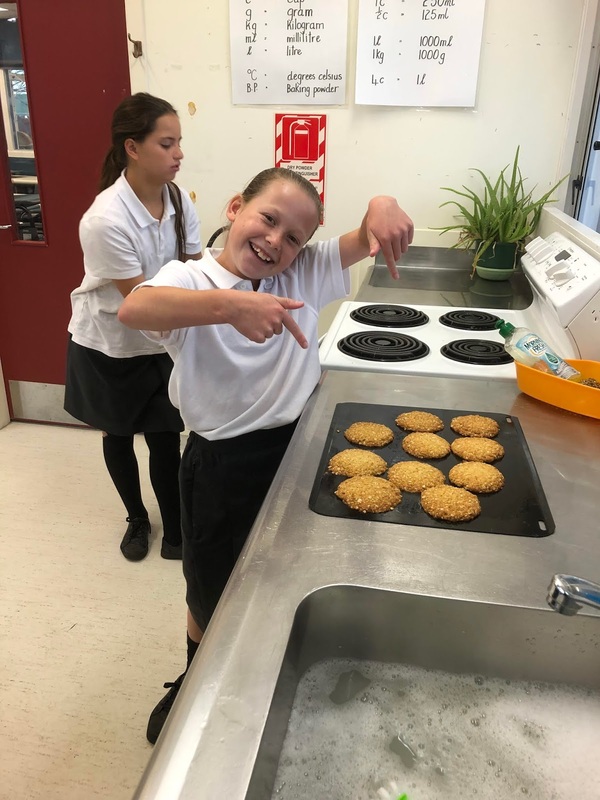 In pairs, they had to find an Anzac biscuit recipe, compare the ingredients with the other recipes brought in, and reduce the quantities of the ingredients ( 13 batches of 24 -30 biscuits was too much for the Food Tech' room ovens to cope with! ).